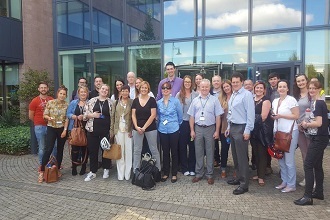 Uniphar Group PLC is one of two full line pharmaceutical wholesalers operating in the Irish market. 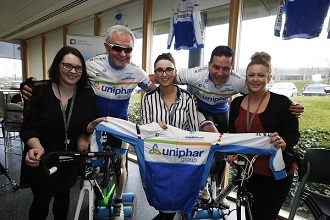 With a turnover expected to be in excess of €1.2billion for 2015, Uniphar is one of Ireland’s most successful indigenous companies, managed and run from our headquarters in Citywest, Dublin. The full line wholesaler is the middle man between the Manufacturers and the Pharmacy, who receive in bulk and breaks down and delivers the medicine in average units of 2 across 12,000 products twice daily. 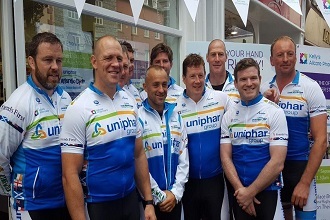 Active right across the pharmaceutical/health supply chain, the Uniphar Group has wholesale depots located in Dublin, Cork, Limerick and Sligo, the company has now built the strongest wholesale depot structure in the Irish market. Our Citywest Distribution Centre (CDC) is a €65M state of the art warehousing and distribution facility and is one of the most technologically advanced of its kind in Europe. This ensures that we offer an excellent distribution service to meet the needs of manufacturers, community pharmacy, hospital pharmacy and veterinary surgery across the country. Set up 40 years ago by community pharmacists to allow them to control their own supply chain, the roots of the Uniphar Group remain in community pharmacy and ownership is still held largely by community pharmacists. Today Uniphar Group employs approximately 550 people. In 2013, Uniphar acquired Cahill May Roberts, one of its main competitors, and since then has undertaken a serious investment in IT and infrastructure, including SAP, while integrating the two businesses. Entrepreneurial and fast moving, the company is expected to list on the stock exchange in the next few years. In 2016 Uniphar continues to grow and has recently acquired Star medical a UK business who provides a full outsourcing and resourcing solution that delivers sales, marketing, medical and clinical people for Pharma, Medical Devices & Technology, Clinical Research and Healthcare Communications businesses; Star’s tailored services include dedicated teams, vacancy management, direct to headcount recruitment, consultancy and master vendor. 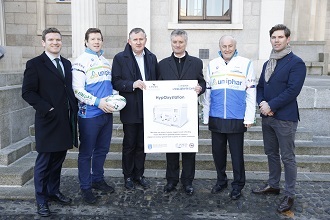 Uniphar also acquired Point of Care Point who is Ireland’s leading community specialist healthcare provider. It provides services in the community that allow patients to be cared for in a more comfortable and less costly alternative to hospitalisation. At the core of Uniphar Group are its people and our employees are the driving force of the business. Uniphar is passionate about hiring and developing high-potential individuals and giving them fast track, long-term careers. The company hires more than anything on cultural fit and potential to grow within the business. It is a fast moving business in an industry that is going through a lot of change – this means our people have to be adaptable, quick thinking and focused on results. In order to succeed in Uniphar you will be smart, down to earth, highly commercial and driven. You will need to be flexible in how you think and a strong problem solver. You will also need to be a good leader, able to get the best from your own team and also to work cross functionally and interact effectively with people at all levels of the business.